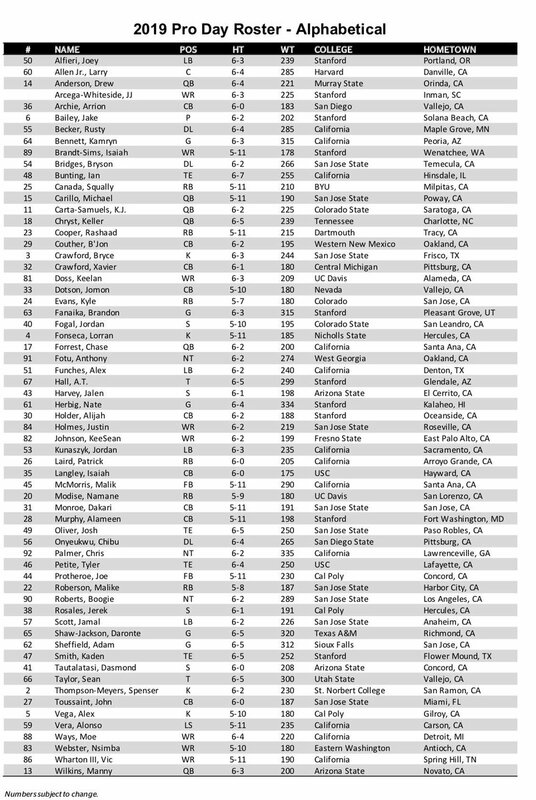 The #49ersDraft Panel talks Day 2 safeties who could add competition in the #49ers secondary. 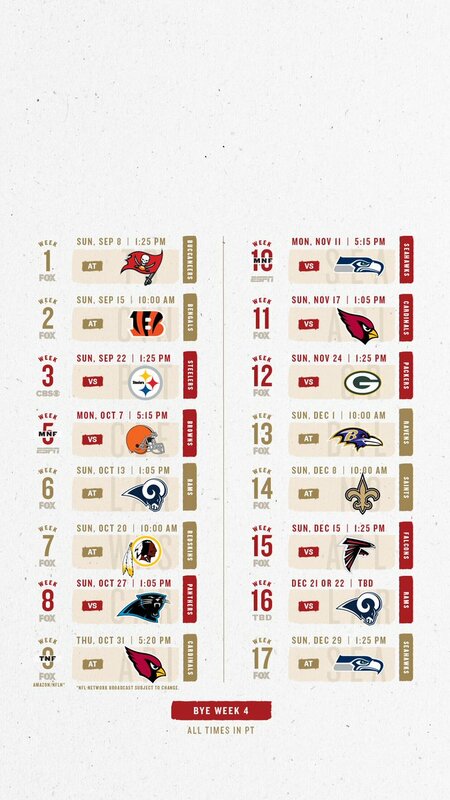 #49ers will open regular season with consecutive road games. The #49ers have announced a pair of roster moves. The #49ers have signed OL Daniel Brunskill. Lots of trade fun tonight, including... Dee Ford headed to the #49ers with a big new contract. There it is! 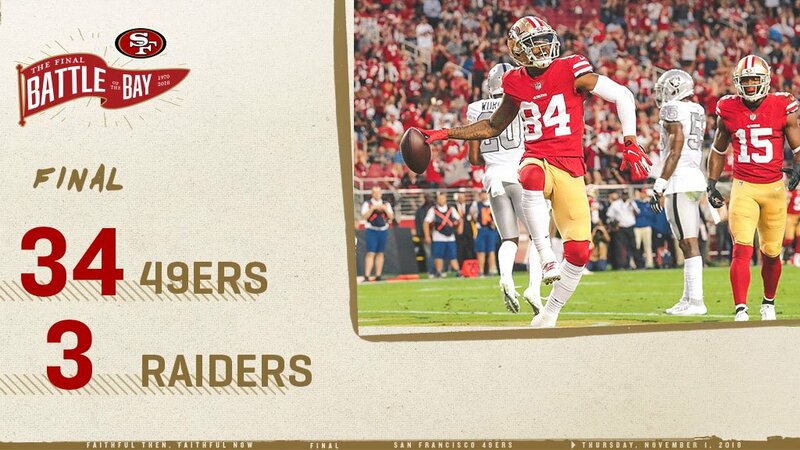 #49ers WIN!! The #49ers are are basically dropping a Road House performance on the #Raiders between snaps. 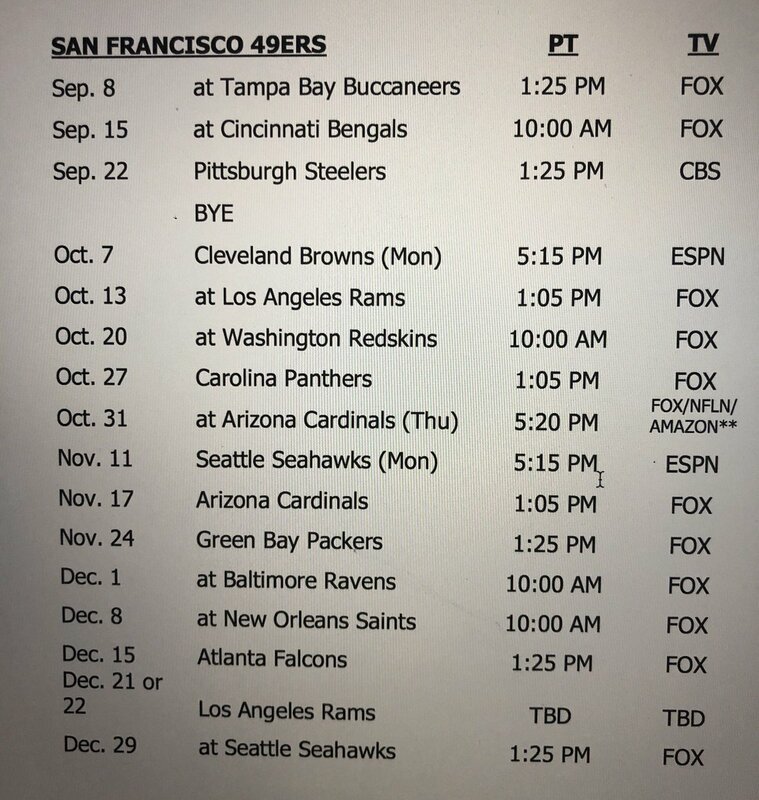 The #49ers play three games in prime time, including one against the #Browns, via source. 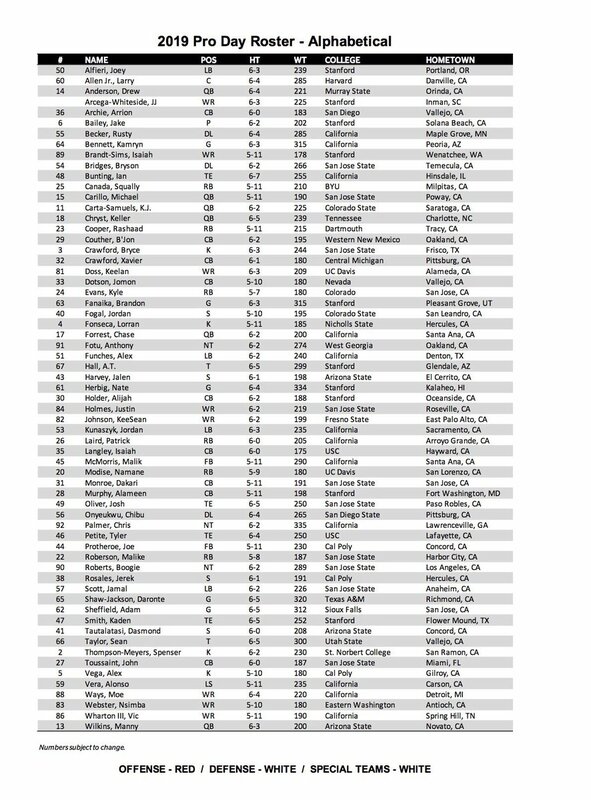 Here’s the list of attendees for today’s #49ers pro day. #49ers DB Greg Mabin today signed his one-year exclusive rights tender. Source: The #49ers are signing LB Kwon Alexander to a 4-year deal worth $54M. The #49ers reached an agreement with former #Seahawks CB Richard Sherman on a 3-year deal worth $39M, source said. 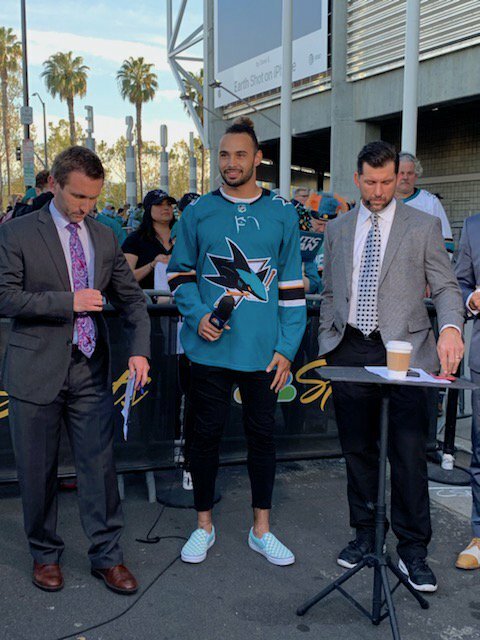 $5M signing bonus. The #49ers aren’t don’t yet. Spoke to someone this morning who said a trade for @obj is still possible. #49ers Eric Reid on VP Mike Pence exit: "This was like a PR stunt. 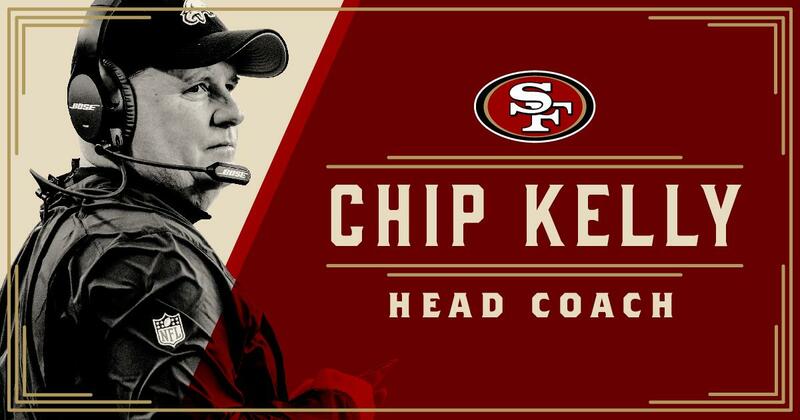 This is what systemic oppression looks like"
#49ers hire Chip Kelly as 20th head coach in franchise history. FINAL. 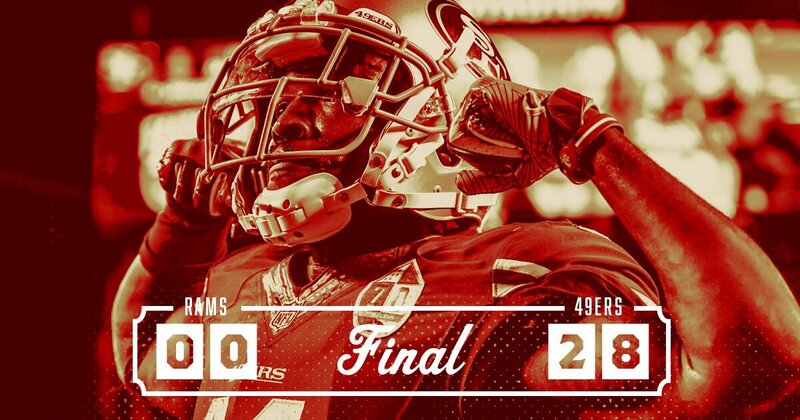 #49ers with the shutout to #BeatLA! 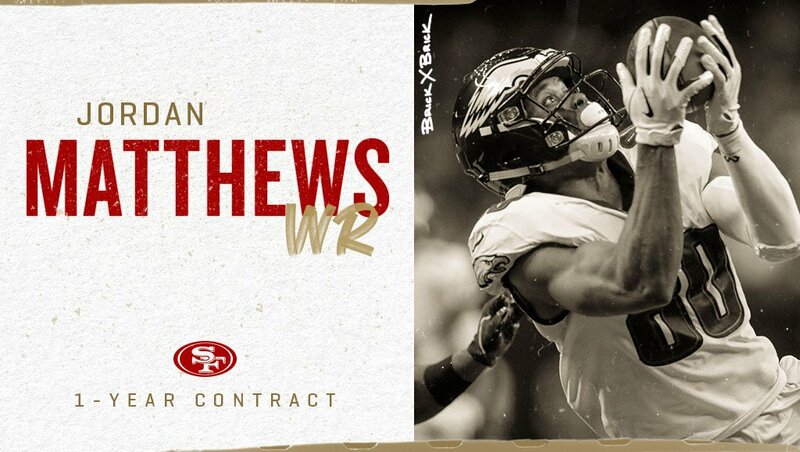 The #49ers have signed WR Jordan Matthews. Welcome to the family, @jmattjmattjmatt! The #49ers agree to terms with RB Tevin Coleman on a 2-year deal worth a max value of $10M, source confirms (as @AdamSchefter reported).